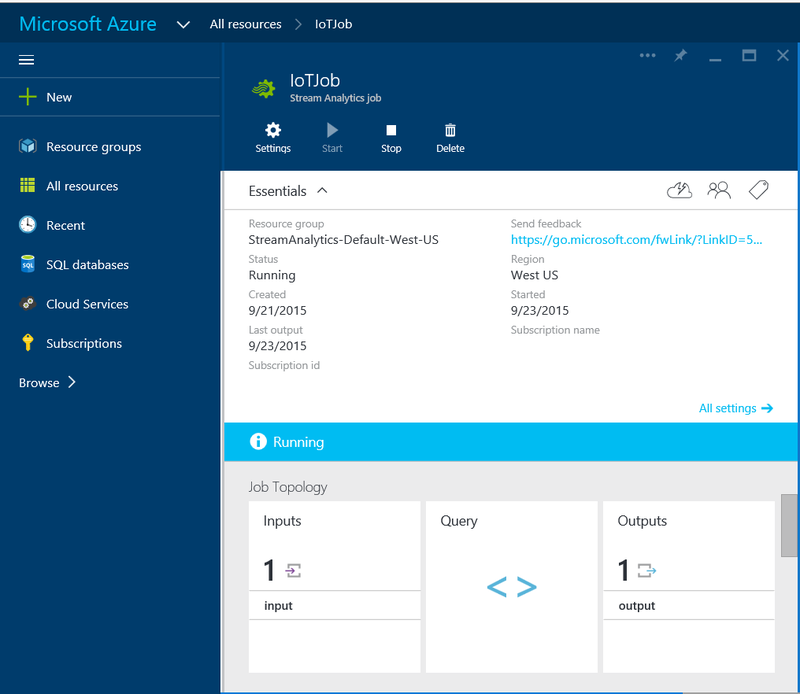 Support for DocumentDB output: Stream Analytics jobs can now output to Azure DocumentDB, enabling data archival and low-latency querying for unstructured JSON data. TIMESTAMP BY for heterogeneous events: When a single data stream contains multiple event types that have time stamps in different fields, you can now use TIMESTAMP BY with expressions to specify different time stamp fields for each case. To learn more about Stream Analytics, see the Stream Analytics Learning Path.